Ochs is confident that the India Program, as it continues to grow, will provide relevant and accessible research and analysis to a wide range of stakeholders in India’s emerging green economy. Noting that the country is already lowering energy intensity by 3% per year, he is encouraged by the fact that committed communities of stakeholders are passionate about keeping the economy on a low-carbon energy path. He also points out that because of India’s fossil resource limitations there is really no alternative to clean, low-carbon development. India currently relies heavily on the import of dirty fossil fuels. 80% of its oil is imported at a high cost to the economy. Coal is not as abundant as previously thought, and in fact might only last another 30 years at the expected growth rates of electricity demand. Given these resource constraints and the fact that 50% of the domestic population is still without reliable access to energy, India must consider alternatives like unconventional natural gas and renewable resources like solar and wind power. Clean energy solutions are in the interests of the Indian people as they reduce local pollution and related healthcare costs; create jobs, expertise and global market share in emerging sectors; and improve energy security. This great potential is multiplied by the current boom in India’s information technology sector which opens up possibilities for advanced smart grid technology. “India could become a world leader on high-quality, intelligent and sustainable energy systems,” Ochs says with a smile. Worldwatch is poised to take an active part in this transition. 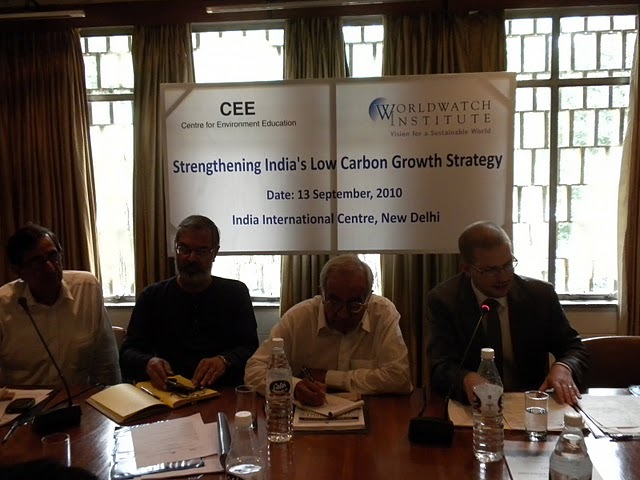 In the months ahead, the India Program will focus on researching low carbon energy growth strategies. Based on the model of our current project in the Caribbean, the Climate and Energy team plans to produce a comprehensive roadmap for India’s clean development. The team will also produce a report which outlines the current status of energy efficiency and renewables in India, and where the country can be by 2030. Additionally, the India Program will conduct research on the green economy, transportation, natural gas-renewables integration, as well as the water needs and impacts of different energy sources. Ma questa è l’unica via Energie rinnovabili: a che punto è il mondo?